Eco refurbishment project management is an growing area for us here at CLPM. Are you considering project management for your eco refurbishment project? You are not alone. Eco refurbishments are now a popular route to take with older housing stock. They enable you to create a highly energy efficient home, without the problem of finding a plot and building from new. 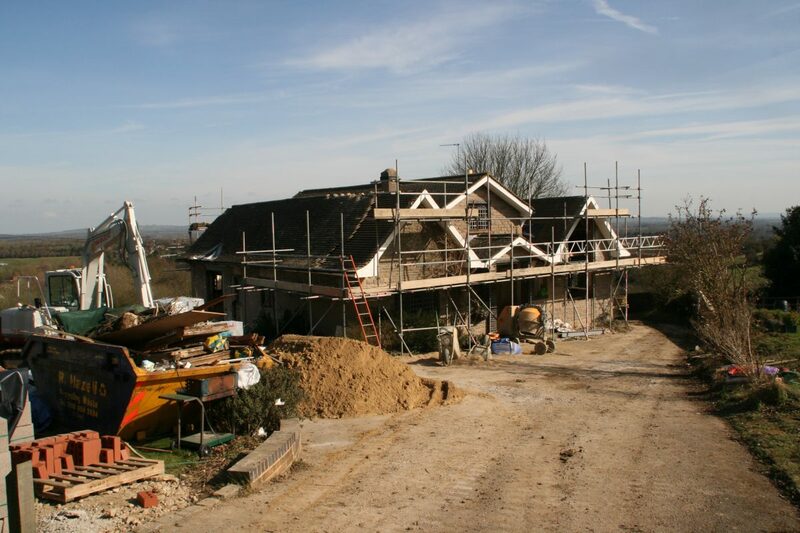 However, practically destroying your most precious asset in order to create your dream home is a scary and courageous thing to do, but that’s just what our clients did to their dilapidated 1960’s family home in rural Oxfordshire. We were introduced to our clients via their architects as they needed cost advice, help going out to tender, and project management support. This 400m2 1960’s 3 storey house, was reduced to a shell and then rebuilt and extended to create a completely new, modern layout. 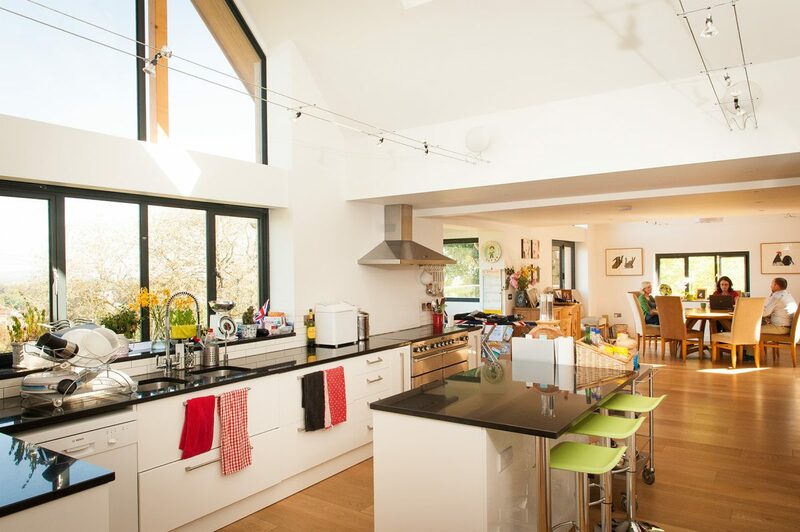 The inside was totally gutted and then reconfigured with vaulted ceilings, new full height windows, roof lights, a glass floor panel and a new open 3 storey stairwell to create a light, open space. We introduced our client to a lighting designer contact of ours to help ensure that the interior and exterior spaces were lit beautifully and effectively using the best low energy options. 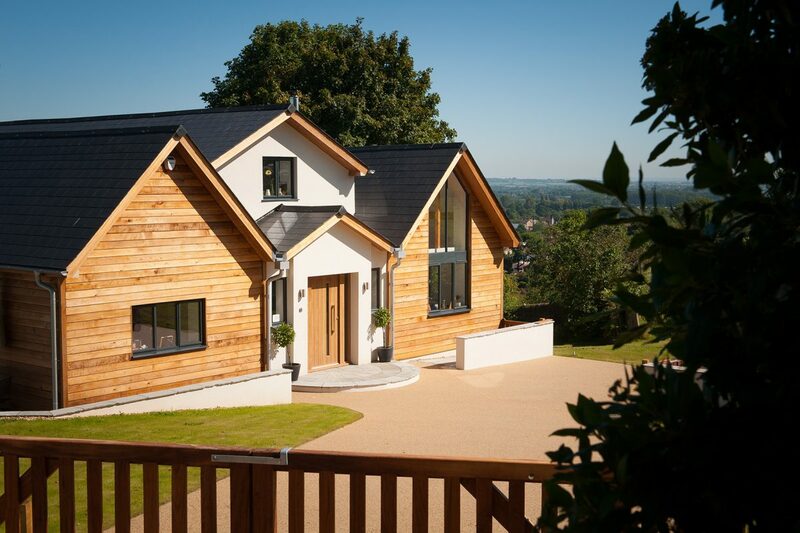 Eco credentials were key, so the external walls were insulated both inside and out before being rendered with a breathable eco-render and clad with red cedar. The heating system was updated from oil heated radiators to an Air Source Heat pump with under-floor heating as well as two wood burning stoves. Hot water was generated via an efficient Ecocent system. 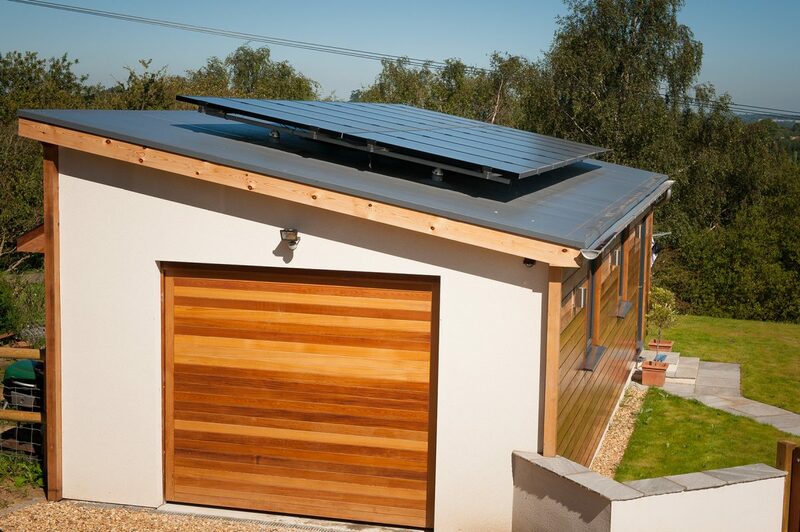 A photo voltaic array was installed on the garage roof to generate electricity. A new bio-digester replaced the old cess pit. Outside the 2 acre site was completely re-landscaped with a new garage block, a resin-bonded driveway, a parking area, a large patio with retaining walls as well as fencing and tree-planting. 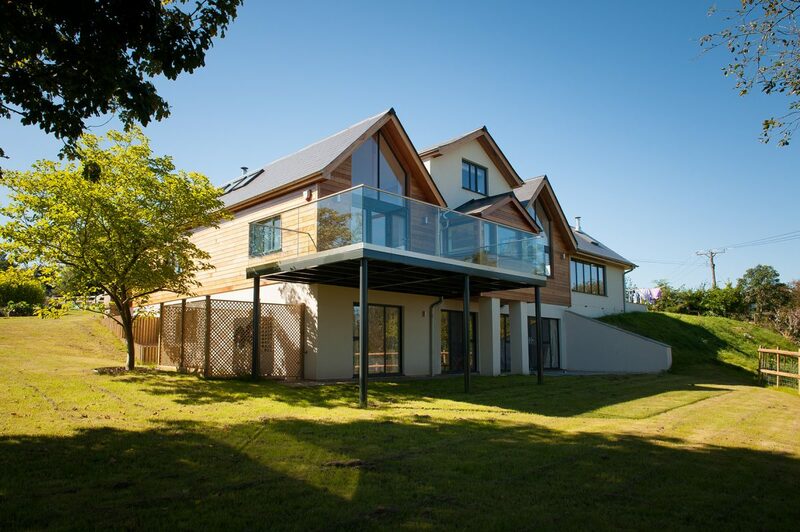 The result is a 1960’s eco home refurbishment with the look and energy performance of a 21st century new build. Design Review, Budget, Tender Process, Monthly Cost Reporting, and Project Management using individual trades. Even though I’m very organised and can take a large amount of stress I don’t think I could have managed the build without my project manager. It’s very difficult juggling a job or children with a building project and we would have wasted an awful lot of time and money with delays if I’d tried to do it myself. We also saved a lot of money on materials, paying trade prices for everything – I think good project managers pay for themselves! 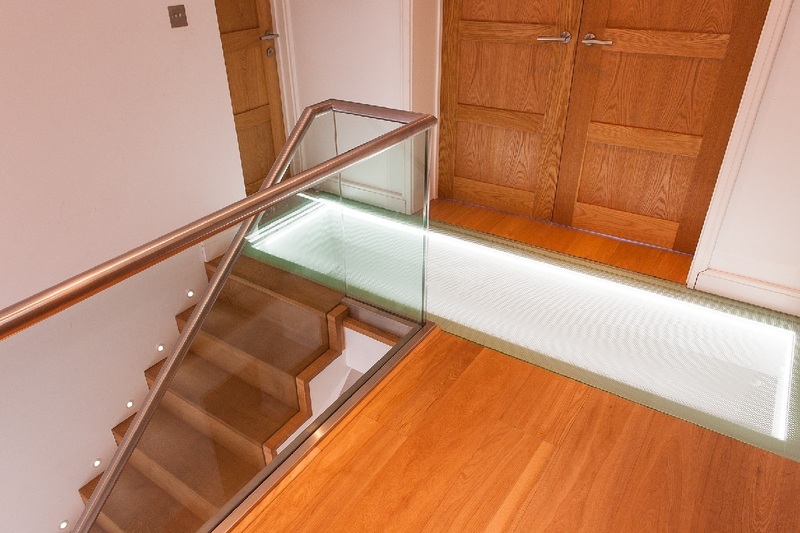 At CLPM we always aim to deliver a bespoke service, tailored to the individual situation of our clients. 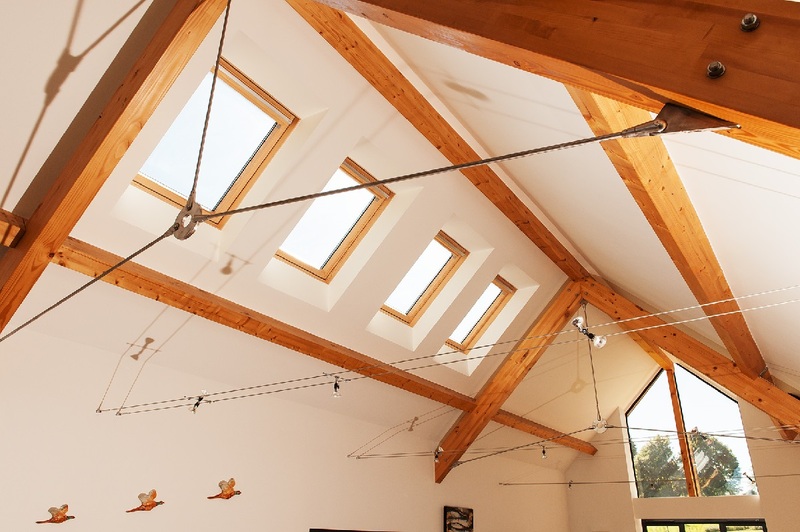 If you are planning an eco refurbishment project and are in need of eco refurbishment project management advice and support we’d welcome the opportunity to have a chat.